The installation of paver brick is one of the most convenient ways to achieve that coveted stone look for your own patio or garden. However, in order to do this, you'll have to first be able to calculate how many paver bricks you need for your project. Because the size of paver bricks can vary, the exact number of paver bricks that are needed to cover a square foot of space depends on the bricks you choose. Luckily, there is a formula that can be used to reliably make this conversion regardless of the size of your brick size. Decide on a type of paver brick. There are many varieties of paver brick available and the best choice for you will depend on your particular project and personal taste. Determine the length of the paver brick. 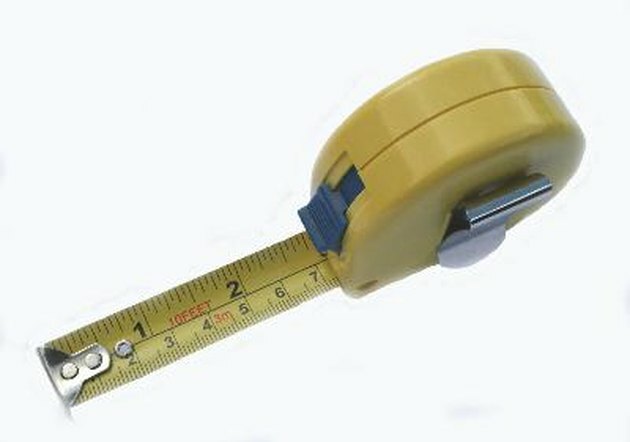 The measurement should be taken in inches. Determine the width of the paver brick. Multiply the paver brick's length by its width. This will give you the size of the paver brick expressed in square inches. For example, if the length of the paver brick is 3 inches and the width of the paver brick is 6 inches you would multiply these two numbers together to get 18 square inches. Take the number 144 and divide it by the size of the paver brick (144 is the product of 12 x12, which represents the number of inches in a square foot). For example, if you knew that the size of the paver brick was 18 square inches, you would perform the calculation 144 / 18 = 8. The resulting number is the number of paver bricks that you will need to cover each square foot of space. How Do I Calculate How Much Gravel I Need for a Brick Paver Patio?